Features Higher quality steel races, better quality and grade balls, and a superior surface finish. Single, non-contact, removable rubber shield for easy cleaning and less friction. High speed Nylon™ ball retainer for greater strength and speed. 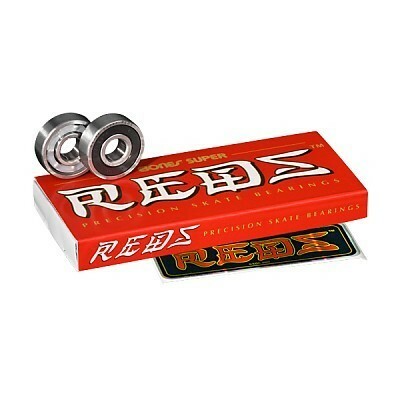 Pre-lubricated with Speed Cream™ racing lubricant Skate Rated™ clearances, tolerances, materials and lubricant provide the best performance and durability possible.